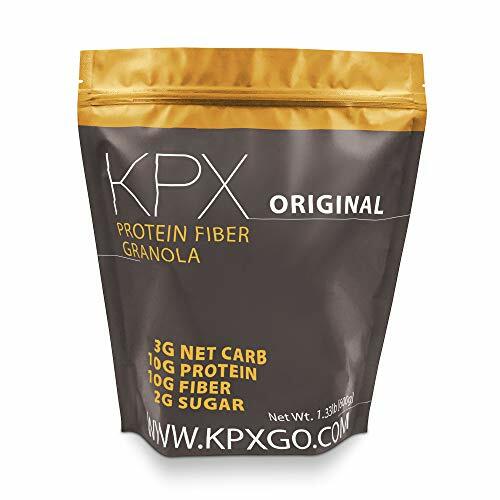 10G PROTEIN, 10G FIBER, 3G NET CARB: A macro heavy food designed to be high in protein, fiber, and healthy fats. Maintain your ketogenic lifestyle without processed junk. SIMPLE REAL FOOD: As natural as it gets with nothing but 1/20th a tablespoon of maple syrup. No processed stevia or monk fruit added! Extremely plain and tasty. DIET FRIENDLY SNACKS: Gluten Free, Grain Free, Non GMO, Soy Free, Paleo & F-Factor Diets Approved. Great for digestion aid, weight loss, and constipation isues. GREAT FOR YOU: Plain food used as a protein cracker, chip, crisp, powder, or shake replacement. Built for fitness focused individuals who want to eat clean. QUALITY FIRST: No matter how you use this product - be it travel, work, pre-workout, hiking, or in the gym - please know satisfaction is guaranteed. Not happy? Contact us for a refund. Final Price as low as $22.79 Shipped!